We play with a loose adaption of the rules in the Warhammer "Blood in the Badlands" campaign book. 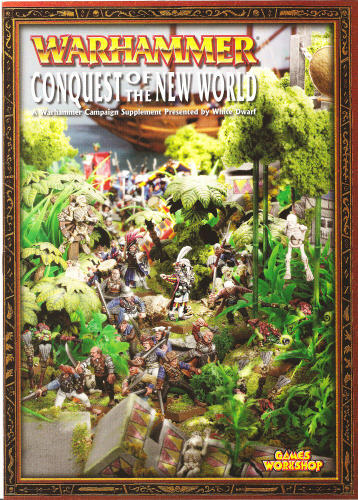 We have also taken inspiration from the old Warhammer campaign "Conquest of the New World" and "Mighty Empires" (old and new). The winner is the one who holds the the Floating Golden Pyramid towards the end of the game.